In an effort to promote the coverage of classical music, each week Violinist.com brings you links to reviews of notable violin performances from around the world. We'd love to hear about any recent concerts and recitals you've attended, too. Or just tell us what you think about these reviews! The New York Times: "Mr. Tetzlaff proved charismatic, imbuing his part with a burnished sound and soulful allure and deftly navigating the whirlwind passagework of the “Gypsy” finale." New York Classical Review: "After landing flat on the second note of his entrance, the German violinist showed intensity of tone and musical sensitivity in his opening phrases. From there, everything was downhill." The Republican: "Kutik’s account of Prokofiev’s Second Violin Concerto explored thrilling extremes of character and intensity, laying bare the composer’s soul at its most romantic and private one moment, at its most ironic and extroverted the next." 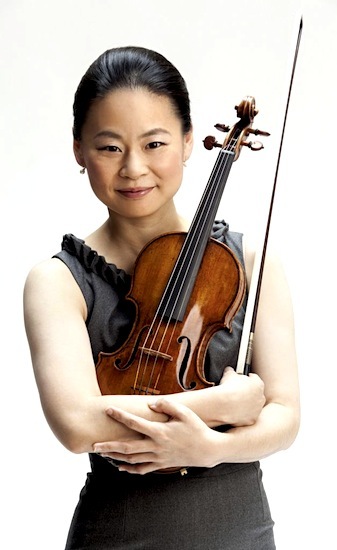 Cincinnati Enquirer: "If you do nothing else this season, you must see Midori." The Guardian: "Josefowicz's captivating performance came as no surprise. More surprising was the orchestra, who seem reinvigorated by the appointment of Salonen's Finnish compatriot Sakari Oramo as their principal conductor." BBC Music Magazine: "It’s a tour de force, of sorts, and Josefowicz an exceptional advocate, but there’s a fundamental lack of distinctive material which prevents it from taking wing." Bangkok Post: "There was a charming, lyrical, almost hushed quality to her playing." Independent Online: "There was a charming, lyrical, almost hushed quality to her playing. "Her tone, phrasing and dynamics were first class, and she showed the skills of a true virtuoso in the concerto’s joyous rapid passages." The Straits Times: "Directing the ensemble and playing from memory, the younger Kam played with impeccable clarity and a focused sound, characterised by wit and humor." The Columbus Dispatch: "In the first movement of Tchaikovsky’s Violin Concerto, soloist Guy Braunstein, formerly concertmaster of the Berlin Philharmonic, brought an effortless fluidity to Tchaikovsky’s never-ending melodies and sailed through technical passages, including an electrifying performance of the cadenza." The West Australian: "Alina Pogostkina, in a strapless blue/grey concert gown, poured a wealth of meaning into Brahms' much-loved Violin Concerto even though, at times, tonal balance between soloist and orchestra was less than consistently satisfying." Philadelphia Inquirer: "Jansen is (the Britten Violin Concerto's) best advocate, her big tone and sinewy turns extracting incisive emotions from a score that consciously (and quite successfully) avoids cliche." Topanga Messenger: "She saved her best for the audience and delivered beautifully on the presentation of a love for the violin that was possessed by the composer, performer and the audience, and heard by all listeners in the international language of music." 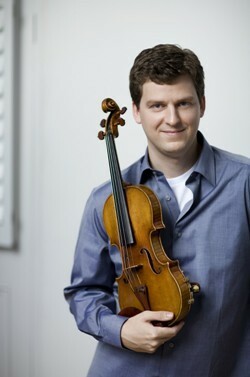 Canadian violinist James Ehnes won two 2014 Juno Awards Saturday, including Classical Album of the Year: Solo or Classical for his recording Prokofiev: Complete Works for Violin and Classical Album of the Year: Soloist with Large Ensemble for his recording Britten & Shostakovich: Violin Concerti. With these awards, he has now won nine Juno Awards. Congratulations! I want to read commentary by peer artisits rather than the music critics. We are compiling this every week in order to encourage concert reviews. As the person who has been reading all these every week, I can say that the state of classical music reviewing is not great, though there are a few bright spots. But we are on the lookout, to link to good writing about live classical music concerts. If you see any good reviews that are blogs, please send us the link! If you want to write a review, please do!